We have them here in the U.S. It’s a powerful tool for reaching young hearts with the gospel of Jesus Christ! Many people came to know Christ at a Vacation Bible School. Nearly 80% of people in our churches today decided to follow Jesus before age 18. 50% of them decided to follow Jesus before age 12. In fact, it becomes exponentially rarer and exponentially harder for a person to decide to follow Christ after age 18. Related to this post is our current project reaching 950 villages in India among the Hill Tribes People. If you have not read the article you can click here. Today, let’s look at the aftermath of last year’s blessing – a great commission church! A total of 3 churches were planted as a result of last year’s VBS and one we are just finishing in the midst of hundreds of unreached villages that are so remote that we built the pastor’s home in the back of the church. I pause to say this in regards to India…We don’t know how long we have in this country. God can ALWAYS make a way, but doors have been closing to U.S. Christian ministries for months! This is why with everything we do after VBS, after planting and building churches; we provide sustainable vocational trades so God’s people will be sustainable. But today, we rejoice over the New Missions Center/Church. I believe thousands will come to the Lord as a result of this work. Your prayers are so needed and we thank you for your co-laborship in the gospel. Read 2018 April Newsletter on our India VBS Program! 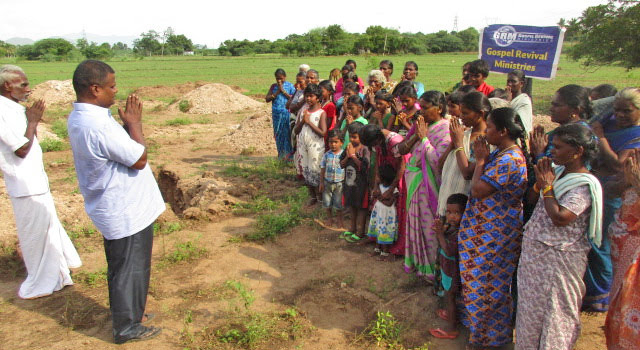 Read 2018 July Newsletter on India VBS Program propels church planting! Read 2018 August Newsletter on sustainable vocational businesses for India Tribals!